I received a sample for this review/feature. Opinions expressed are my own. 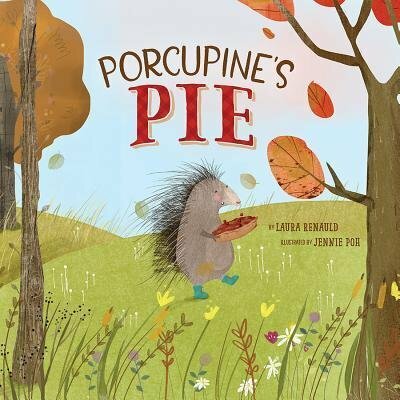 A debut picture book from author Laura Renauld and illustrated by Jennie Poh, Porcupine?s Pie is the winner of the Beaming Books Picture Book Contest and it makes for a super cute Thanksgiving picture book! Porcupine can?t wait to share Fall Feast with her woodland friends, so when everyone she greets is unable to bake their specialty due to a missing ingredient, Porcupine generously offers staples from her pantry. When Porcupine discovers that she, too, is missing a key ingredient, the friends all work together to create a new Fall Feast tradition. A recipe for ?friendship pie? can be found at the end of the book. ABOUT THE AUTHOR:?Prior to becoming a children?s writer, Laura Renauld shared her love of books with her third grade students. After experiencing the power of story to captivate, amuse, and encourage, Laura knew that she wanted to create books for kids. Laura is a proud member of the Society of Children?s Book Writers and Illustrators and was selected to attend the Rutgers University Council on Children?s Literature One-on-One Conference in 2016. When she is not writing picture books about porcupines, pirates, and pickles, Laura can be found on a trail, at the library, or in the kitchen. 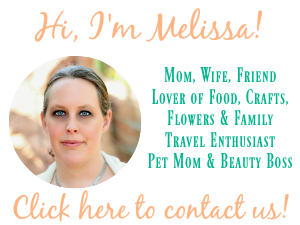 She lives in Northern Virginia with her husband and their two sons. This is her debut picture book. Porcupine’s Pie will inspire children ages 4-8 to act generously. We will be making this one of our books that we read during Thanksgiving week every year. The addition of the friendship pie recipe at the end of the book inevitably means my girls will want us to bake as well! This is a super cute Thanksgiving picture book that reminds us all to be friendly and helpful to friends and family. Connect: You can connect with PR by the Book on Facebook and Twitter.